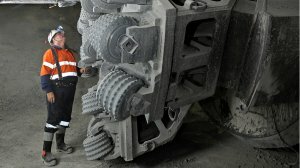 TORONTO (miningweekly.com) – Global mining exploration budgets are expected to swell about 20% this year, bolstered by the generally positive trend in metals prices extending into early 2018, a new report by S&P's Global Market Intelligence has found. Global spending on the search for nonferrous metals rose 15% year-on-year in 2017 to an estimated $8.4-billion, compared with $7.3-billion in 2016, representing the first yearly increase in exploration spending after four consecutive years of declining investment in this area, according to the World Exploration Trends (WET) report, published in conjunction with the 2018 iteration of the Prospectors & Developers Association of Canada (PDAC) International Convention, held in Toronto. "Improved equity market support for explorers allowed many companies to launch or resume drill programmes on their most promising projects. Although the main focus was on gold, exploration targeting base metals assets also rebounded in the second half of the year, and the battery metals attracted particular attention," associate research director Mark Ferguson stated. According to him, there was a sharp increase in reported drill results in the last quarter of 2017, and financings closed the year on a high note. "As a result, our year-end measure of exploration sector activity reached levels not seen since early 2013," Ferguson noted. Following four years of depressed exploration spending, the mining industry upped total nonferrous exploration budget to $7.95-billion by surveyed companies – a 14% increase over 2016. Canada, Australia and the US continue to lead exploration spending, with allocations totalling $5.55-billion. The top ten countries accounted for 70% of the $7.95-billion global surveyed total. Overall, the S&P Global Market Intelligence report confirmed that exploration sector health is on the mend, with its Pipeline Activity Index jumping to 87 in the fourth quarter, from 77 in the prior period. This reflected the index's highest level since the first quarter of 2013, when the recent downturn was just starting. The Pipeline Activity Index incorporates data on the number of projects announcing significant drill results, exploration financings, initial resources and positive project milestones. Despite the overarching positive market trends, the WET report found that the number of explorers with spending plans declined by 3% year-on-year to 1 535 companies, which reflected funding challenges faced by some junior companies early in the year. Meanwhile, the major miners with revenues of more than a $1-billion a year have been paring back exploration budgets, allocating only a small proportion of their revenues to exploration efforts. Riskier exploration remains relatively unattractive, Ferguson noted. He added that battery metals exploration surged, with lithium exploration allocations in 2017 more than doubling year-on-year, while cobalt-focused exploration also increased strongly. The WET report's total exploration figure was based on an underlying survey of more than 3 000 companies, of which 1 535 recorded a total budget of $7.95-billion in 2017, compared with $6.95-billion allocated in 2016. To the survey amount, S&P's added an estimate of budgets for companies that could not be obtained, companies with annual budgets under $100 000 and private companies. Meanwhile, professional services firm EY also reported on Monday that British Columbia's mineral and coal exploration industry grew in 2017 for the first time since 2012, according to the second annual British Columbia mineral and coal exploration survey. The report was generated by EY, in conjunction with British Columbia's Energy, Mines & Petroleum Resources Ministry and the Association for Mineral Exploration British Columbia. The survey found that exploration expenditures across the province totalled C$246-million in 2017, up 20% year-on-year, or C$41-million. Similarly, gold exploration accounted for 87%, or C$37-million of that increase, driven by increased activity in the province's Golden Triangle and Cariboo gold belt regions. Gold's dominance in the province's exploration was consistent with the global trend: gold accounted for more than three-quarters of the year-over-year increase in worldwide exploration expenditure in 2017. "Last year we saw a revitalisation of the BC exploration industry, primarily due to a stronger Canadian economy and an improved commodity price outlook. And, without the impact of the devastating wildfire season, expenditures would have likely been even higher," EY Canada Mining & Metals Advisory Services leader Iain Thompson stated, noting that he expects these favourable conditions to extend into 2018. Other metals also saw increased activity. Exploration expenditure on primary-silver projects more than doubled to C$9.8-million, while zinc grew by almost 50% to C$8.2-million, driven by increasing prices. Coal exploration, however, decreased by 18% or C$7-million. This had a significant impact on the province's Northeast region, where exploration spend declined by almost 75% to C$2.4-million. By contrast, the province's Northwest and Southeast regions saw the bulk of exploration activity, accounting for 77%, or C$33-million of the increased overall exploration expenditure. "The mining industry is critical to the health of the BC economy. With mining revenues expected to approach C$9-billion annually, it's important to identify new development opportunities and encourage the continued development of a robust exploration industry," British Columbia Mineral Development Office director Gordon Clarke advised.